There is a saying that states it takes a village to raise a child. Likewise, it takes a village to create a community.This is our renaissance. …and our time to shine. We’ve seen many changes in the past couple years with local improvements and renovations and witnessing new ways to create an interesting destination spot. There is beauty here and it’s time to share. Through the Van Wert County Foundation and a commitment to creative placemaking we are about to launch a colorful corner that will turn heads. We have the place, now let’s get creative with it! The new Wassenberg Art Center at the Armory. Click here to learn how you can help by joining the “Art-fitter Army”. Thank you to those companies and individuals who recognize the arts are a major catalyst toward healthy economy and community. Let us know if you want to share our vision by contributing to this crucial local project. The Wassenberg Art Center is a not for profit community art center which presents an average of 10 admission-free exhibits annually. We offer art classes, workshops, unique events and activities for adults and children throughout the year. Charles Wassenberg gifted his home in 1954 after his death for the creation of a local art center. He and his wife Vera and many friends were avid art enthusiasts and their combined love of art and architecture lives on and grows because of his generosity. One friend in particular, Lew Miller was instrumental in planning for the legacy of art to carry on in the Van Wert area. Once housed in the Wassenberg Victorian era home it is now located in the newly renovated Van Wert Armory conveniently located on Washington Street (Interstate 127). In August of 2012, the Van Wert County Foundation purchased the armory property which was scheduled to be demolished. The 12,000 square foot facility, saved from the wrecking ball has made a smooth transition from to proponent of turbulent times to the creation of the visual arts and creative placemaking. 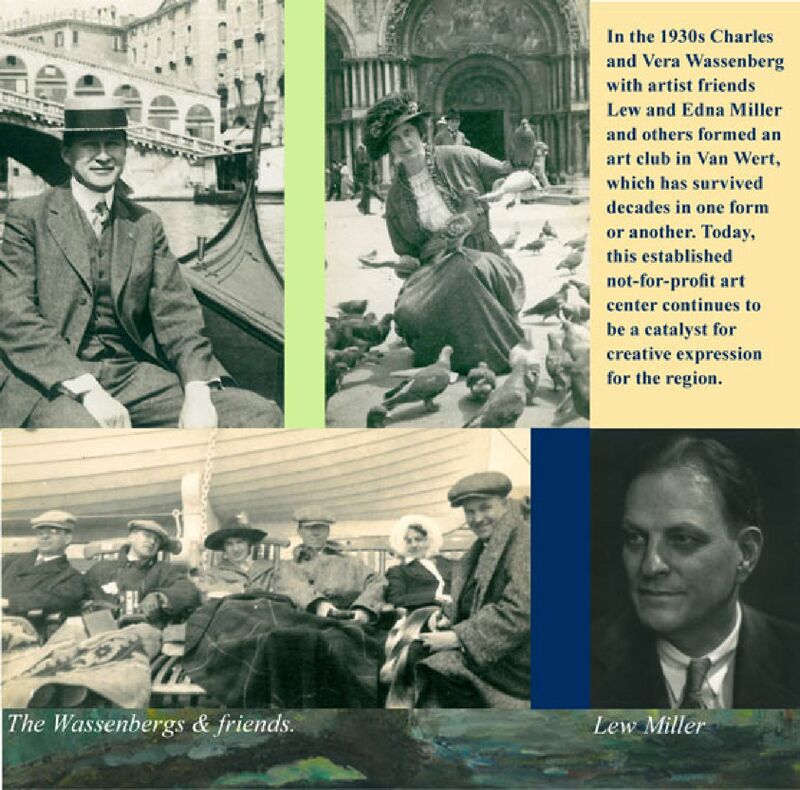 The Wassenberg Art Center and its mission continue today in part from the Wassenberg trust, the Van Wert County Foundation, community support, donations and membership dues. We want you! Partner with us to help change the face of Van Wert. The Van Wert County Foundation has provided us an optimal space for creative place-making, lets work together to make that place nothing less than phenomenal. A place we want to be. Most contributions will display your generosity prominently on or nearby with your name or business featured on a plaque. Additional recognition will be provided on our website, press releases and in marketing communications. It all about the outfit! Helping outfit the armory with the items it requires is as individual as you. Choose what interests you. Even small gestures like providing a memorial to a loved one is an engaging and living gesture of your love. Some items have a set cost other items can accept increments. In addition, contributions over $100 in value will result in a free, 1-year regular membership. Click on the item or items that intrigue you. 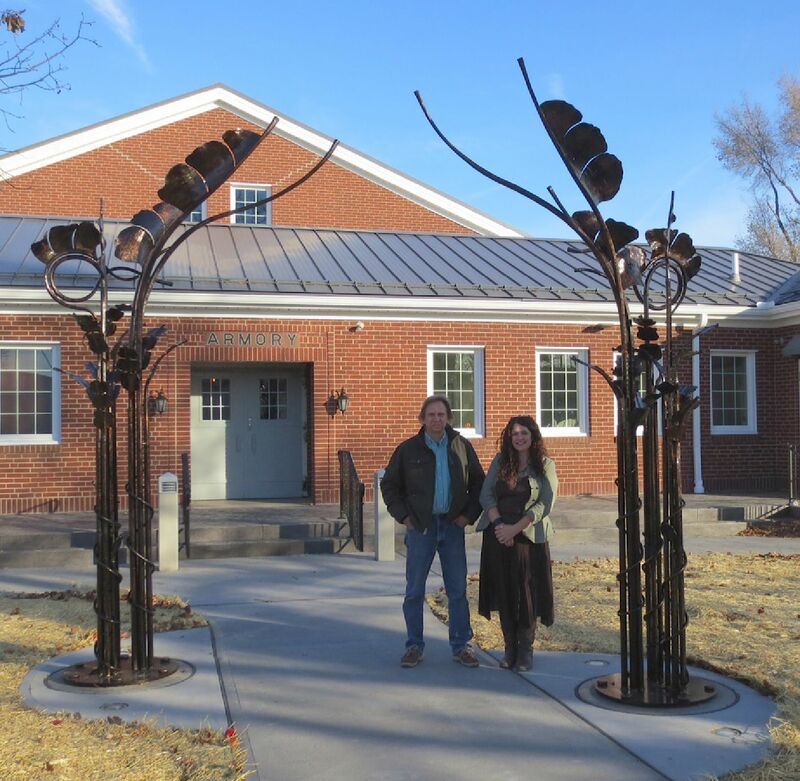 The first significant sculpture to grace the new Wassenberg Art Center at the renovated Van Wert Armory is a12′ tall offset archway portal transitioning guests from the street to a difference experience. To truly experience this impressive structure please visit us here at our new home. This sculpture was designed and created by international sculptor, Michael Bendele from nearby Delphos, Ohio. The curving and organic branches represent a bold statement that the arts are strong in not only Van Wert but small communities the world over. As you pass through the portal the busy street is left behind as you enter the world of art. Experience! Funding generously provided by First Federal of Van Wert. Thank you for your deep commitment to community revitalization. 10 North Toledo Jeep assembly plants.